This was the first year I filed all of our client's 1099's electronically. I used Track1099 for all of my filings and I loved it! It is very easy to sync the data from any version of QuickBooks and then process 1099's online. You can use Track1099 to deliver your forms to the recipients by Mail or Email. And your forms will be E-filed with the IRS. The price is very reasonable. You won't have to pay for more forms than you need. And you won't have to worry about stamps or making a trip to the post office. Track1099 is practical for individual companies as well as Tax Professionals. Before you sync your data file with Track1099 follow the steps in the 1099 Wizard in QuickBooks found under Vendors > Print/E-file 1099s. Once all of the information is complete for your 1099 vendors and they all have addresses and EIN numbers set up, you should sync with Track1099. All of our clients use a version of QuickBooks so to start my filing for a client I first had to set up Intuit Sync Manager. 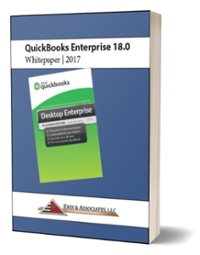 Begin by opening a desktop version of QuickBooks. Go to File > Set Up Sync Manger. You do not need to do this for QuickBooks Online. Sign into Intuit Sync Manager or set up a user ID if you're a first time user. NOTE: You must be logged in as the QuickBooks Admin user for the Set Up Intuit Sync Manager option to be available. On the next screen, you will tell the Sync Manager if you are syncing with an existing company or creating a new company. You will choose Use an Existing Company if you are syncing the open QuickBooks file with an existing file you have attached the online application to before. You will choose Create a New Company and Sync Your File if this is a first time setup. Sometimes the sync fails the first time. If you get this message it's very easy to sync again. First close the Intuit Sync Manager window. Then reopen the Sync Manager by double-clicking the icon in your lower right tray. You should be back in the Intuit Sync manager window and see your Company File name in the list. Mark the company as Enabled and click Sync Now. When the Sync process starts watch the green bar to make sure it goes to 100%. On occasion you'll get the "Server busy: Automatic Sync temporarily delayed" message. If you do click Sync Now again. You don't have to wait 4 hours. When you see a date and time under Last Successful Sync you've successfully synced your QuickBooks with Track1099. Now open the online application at https://track1099.com. If you haven't signed up for an account you need to do this first. Otherwise, just log in. If you are ready to start the 1099 process click the Track1099 window. You can also use Track1099 to file W2's and to collect W9's from your vendors. If you haven't imported your information from QuickBooks yet you will click on Import Data from this screen. You then have a variety of options where to import data from. For this example I am demonstrating importing data from a desktop version of QuickBooks. Once you chose QuickBooks you will be on a Welcome screen. Scroll to the bottom of the screen to the Connect with QuickBooks window and click on it. You will be asked to authorize Intuit to securely share data with Track1099. Click Authorize to begin the import. If you have a successful import your data file will appear in the Payer list. You will see how many forms are available for processing. Click on Unscheduled Forms in Orange to view each recipient. On the next screen you can fix the Errors with a Red x. Click on each recipient name to fix each error. I recommend adding your vendor's e-mail address so the 1099 can be securely E-mailed which is a free service! Then the only fee you will pay is for the IRS copy to be E-filed. If you see a Good with a green check mark the 1099 can be e-mailed. If you see an OK for E-File, No Email with a yellow yield the 1099 will be mailed to the recipient for a fee. Once you have some recipients marked as Good or OK you can click on tab 4. E-file to schedule the form. You need to provide Track1099 wit your credit card information to finalize the filing process. Once the form is processed you still have the opportunity later to go back to the form and make changes. You can manually add recipients also if you find one that didn't import in the beginning. Support for Track1099 is done through e-mail but responses are quick. I hope you find Track1099 easy to use and enjoy the electronic filing process as much as I did.